She'd come to Alaska on the promise of marriage, only to find herself on the run from her would-be husband. Lost and alone in the wilderness, Emily Hunter nearly weeps with relief at the sight of a small plane in the distance - until the rugged bush pilot makes his way through the brush to help her. Can she trust this stranger any more than the menacing predator on her trail? 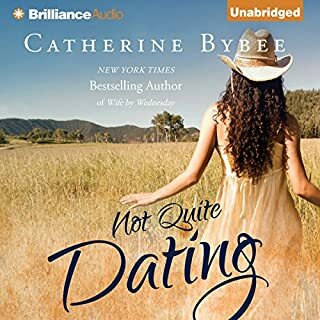 But there's something in John Wolf's dark eyes that wills her to believe in him, something about his gentle nature that allows her to accept his offer of protection. Bridger Calhoun is more than ready to make Penelope Gallagher his bride, but however much she adores him, Shark Girl is dragging her heels on tying the knot - which seems to be a maddening tradition among Gallagher women. Come join the fun... the heartache... the sweetness, as Sweetgrass prepares for a community celebration that will bring the Morning Star Gallaghers and the Marshalls to town, along with several of Jackson's Seattle geeks and more than one lost soul about to find a place to belong. In eccentric, lovable, unforgettable Sweetgrass Springs... where hope never fades and love never dies. This book lets you touch base with all the characters. I love finding out what's happening with everyone. Eric G. Dove does a wonderful job giving voices to everyone. I never got confused as to who was talking. It was really touching and full of great insight when Jackson and Ben have their discussion about Ben's "dad". This was another favorite because Jean Brashear brought everyone together again. I love the characters and I'm so invested in their lives. I look forward to the next book. Eric G Dove is an excellent narrator. He brings everyone to life. He's so talented. One of my favorites. Sweetgrass is an enigma. Haunted by heartache, yet filled with so much love. 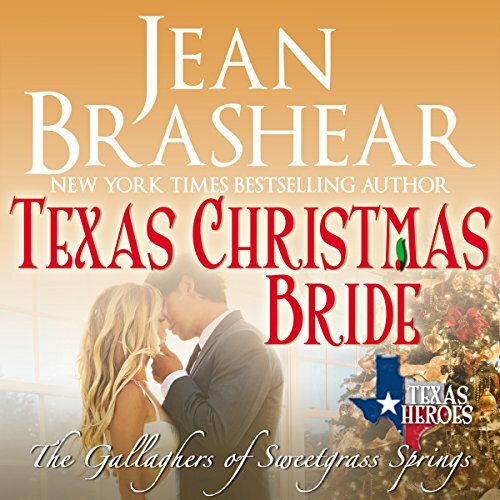 Texas Christmas Bride is a celebration of all the parts that make love beautiful. Family, friendship and new beginnings. Brashear gives readers a chance to revisit old friends, while getting to know new ones. From fun to emotional, Brashear, Dove and the Sweetgrass gang are an irresistible combination. A return to Sweetgrass Springs and all of my favorite couples. This is not only about Veronica and Jackson but all of the couples we already know and love. Ben has much to come to grips with still, and Beth and Abby are as adorable as ever. The narration was wonderful. I read the book a year before I listened to the Audiobook. Both versions were excellent. This book pulls Texas Rebel and Texas Blaze together. It can be read as a standalone, but reading the two books that precede it makes it so much better. The story emphasizes what the people of Sweetgrass are all about. Everyone gets their HEA, and the kids in the book are really sweet. You also get to revisit the Gallaghers of Morning Star, and the Marshalls. Listening to the Audiobook is even better. How the narrator managed with all of the different characters is amazing. There is one thing I loved about the narration that I may not have clearly realized when reading the book. 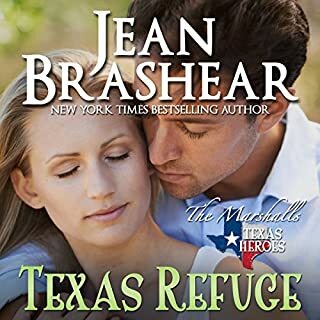 You not only get to revisit the characters from previous books, but if you have not read many, or any of the previous books, Jean Brashear gives very clear descriptions of individuals back stories and how the characters are all connected. I listened to this book in during one day and thoroughly enjoyed it. I voluntarily listened to and reviewed this audio received provided by the author. The one thing I love about Jean is that she ties the books together, you can love the characters throughout the series. She brought real life issues into this book, and yet solved them as any of us would. Veronica being brought into the Gallagher family, Penelope getting over her own fears. Love and babies, this story has it all. All Jackson Gallagher wants for Christmas is to marry Veronica and finally make her his wife. Bridger Calhoun would like nothing more than to get Pen to settle down as well. Another community celebration that brings all the Gallaghers, Marshalls and friends together makes for a fun filled storyline that had me both laughing and crying. 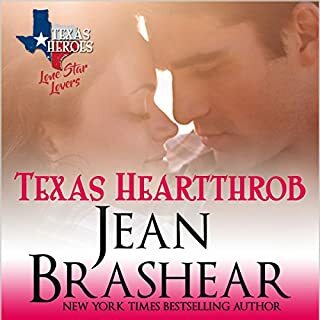 Jean Brashear gives us another marvelous story about her characters in Sweetgrass Springs and Eric Dove doesn’t skip a beat narrating it with his usual flair. I enjoyed this book just as much as I have every single one in this amazing series.